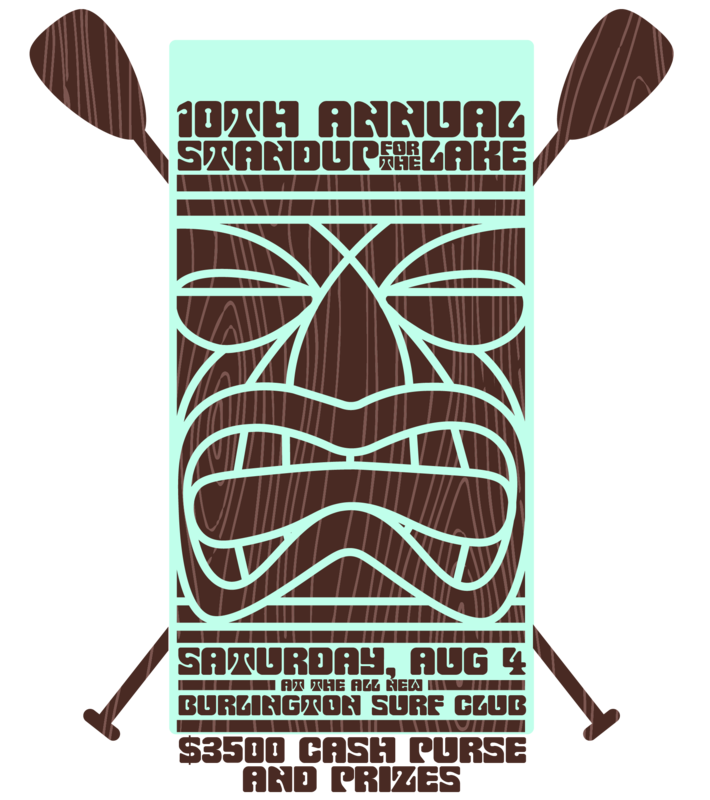 THE SPOT and WND&WVS welcomes you to the 10th annual STAND UP FOR THE LAKE at the all-new BURLINGTON SURF CLUB on beautiful Lake Champlain. We are thrilled to announce that Standup for the Lake is now one of 24 worldwide Paddle League-affiliated races across the US, Hawaii, Europe, Asia, Australia, and South America for the 2018 race season. Need a place to stay? We're very excited to announce the addition of on-site camping on the shores of Lake Champlain to this year's race. Bring a tent and a cooler and we'll supply the grills and the lawn space to create the ideal race/camp weekend experience. Please join us for our pre-registration party at the Burlington Surf Club. This is your chance to register for the race, pick up your race packet and grab a beer or two with your fellow competitors while gazing on the beautiful shores of Lake Champlain. Lay out a blanket or settle into your beach chair in front of our big outdoor movie screen for a short surf film before bed time. Get your pre-race stretching and breathing practice in this morning yoga session in the pavillion at the Surf Club. Come pick up your registration packets or register in person at the Burlington Surf Club. Meet Race Emcee, Marc Angelillo at the registration table to go over the day's race rules and course. 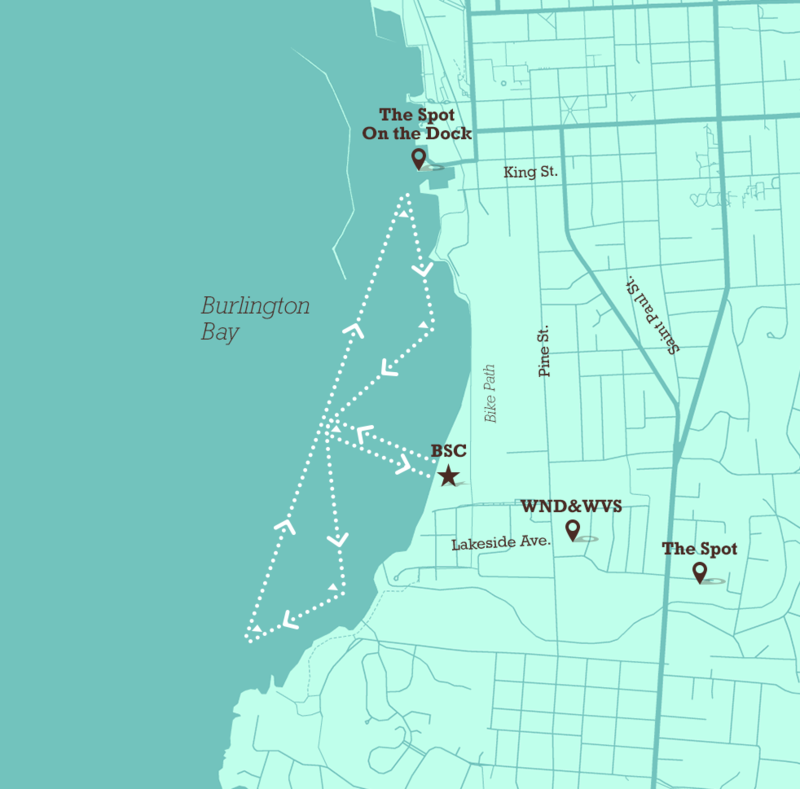 This is a 6 mile course rounding the north and south buoys for two laps. The race begins with a beach start and a right hand buoy turn around the near shore buoy before heading north. After completing the second lap, paddlers will round the near shore buoy and head to the beach for a sprint across the finish line. This is a 3 mile course rounding the north and south buoys for one lap. The race begins with a beach start and a right hand buoy turn around the near shore buoy before heading north. After completing the first lap, paddlers will round the near shore buoy and head to the beach for a sprint across the finish line. Kids (ages 5–11)will race from the beach to the near shore buoy and back. Our fish taco bar will be set up on the beach for all racers to enjoy a complimentary lunch and beverage. First place trophies will be awarded to the fastest male and female paddler in the elite race along with prize money for first, second, and third places in the 14' and under board class. We've also got a pile of prizes generously donated by our sponsors for the top recreational race winners. Please join us at The Spot on the Dock for dinner and drinks and a photo slideshow of the day's activities. We're very excited to announce an encore screening of Andy Irons: Kissed by God at the Beach Club on Saturday night following the race. This is an amazing film based on the life of professional WCT surfer Andy Irons. Tickets are available for purchase from their website. Donations to the Andy Irons Foundation can be made at the night of the showing. The Elite Race is two laps around the course/6 miles. The Rec Race is one lap around the course/3 miles. The Kids Race is out around the first bouy and back to the beach.